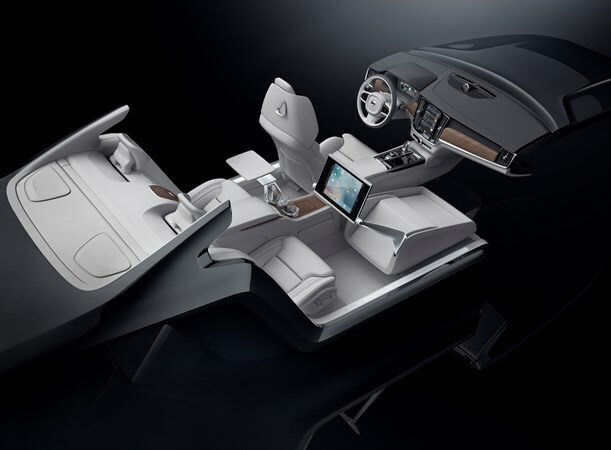 Volvo Cars has unveiled a unique piece of art at the 2016 Beijing Auto Show, based on the interior of the new S90 Excellence sedan, Volvo Cars’ top-of-the-line variant of the S90. The sculpture clearly illustrates how the Lounge Console could look in the new S90 Excellence, and Volvo Cars’ commitment to deliver a new and exciting take on progressive luxury. “We had such positive feedback with our original Lounge Console Concept in the XC90 that we wanted to take it a step closer to reality in an S90 Excellence interior. With this interior we wanted to create a piece of art, a sculpture. We’ve taken many of the original concepts and made them come to life,” said Robin Page, Vice President Interior Design at Volvo Cars. Starting at the rear, the Volvo Cars Design Team added the most comfortable seating and the supreme convenience of a centre control panel for features such as the heated/cooled cup holder, the sound system, massage function and the large multi-media screen. The rear armrest is home to a refrigeration unit and comes complete with two hand-cut crystal glasses from Swedish glassmaker Orrefors. “One of the key elements is the removal of the front passenger seat. We removed this to provide unrestricted forward visibility and the sense of space and light that this brings. It has an immediate and extremely calming effect,” said Robin Page. The Lounge Console Concept in the S90 Excellence provides three comfortable alternatives – a mobile working station that combines a fold-out work table and large screen for checking your emails or video conferencing; a pure entertainment mode where you can catch up on your latest Netflix shows and a pure relaxation mode where you can recline your seat, take a cold drink from the fridge and relax with your feet on the heated foot support. 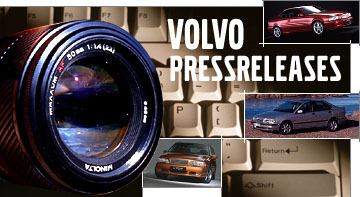 “We do things differently at Volvo Cars – we always have. Our distinctive approach to interior design aims to deliver a luxurious and calming experience. The art of Scandinavian Design is all about enhancing the life experience, and this is what Volvo Cars does best,” said Thomas Ingenlath, Senior Vice President Design at Volvo Car Group.